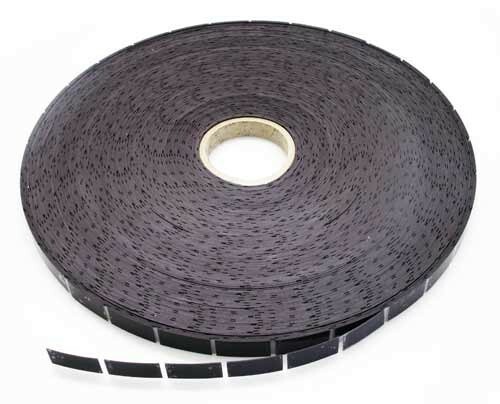 Our popular 20mm x 40mm x 0.4mm self adhesive Patch Magnets are available in a wholesale sized roll of 3,500 magnets. Patch Magnets are ideal for sticking to business cards, leaflets, restaurant menus, council bin collection notices, invitations, save the date cards, calendars and much more. With a simple peel and stick, you can turn any printed material into fridge magnets.